While wood reigns atop the millwork industry, other materials seek to dethrone it. 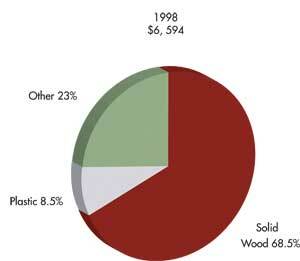 MDF, plastics, vinyl and other materials continue to erode wood's share of the strong housing and remodeling markets. "Other" includes metal, engineered wood (MDF and particleboard), wood plastic products, pre-cast plaster and concrete and synthetic stone. That's what Terry Boyko, executive director of product development at Olon Industries in Georgetown, ON, has to say about the impact materials like MDF and plastics are having on the interior moulding and millwork industry. 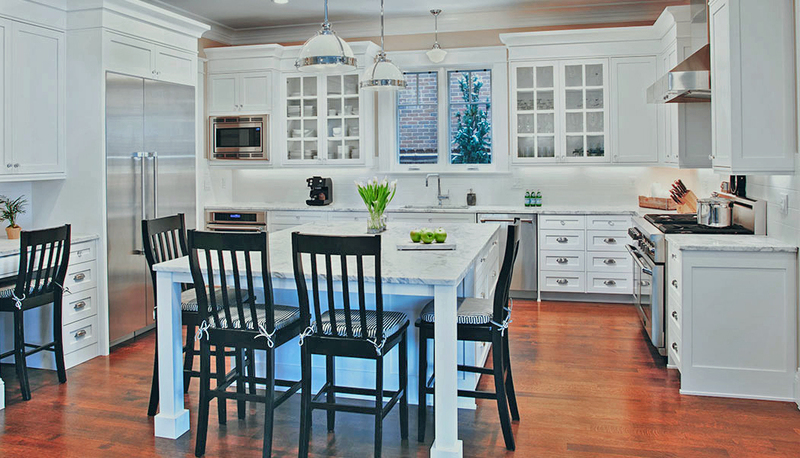 For decades, solid wood once was the material of choice for millwork production. But with technological advancements, various materials have taken over some of the market because they are touted as lower maintenance, cheaper alternatives to solid wood. However, as Boyko suggests, wood is still the primary - as in the moulding and millwork industry - if not significant - as in the window and door industry - material used today. Indeed, according to The Freedonia Group, wood dominated the moulding and trim market with two-thirds of total demand in 2003. Yet, the Cleveland-based industrial research firm also says that "wood materials have lost significant share in recent decades to alternative materials such as plastics and engineered woods, which offer benefits in terms of durability and reduced maintenance requirements." Despite its small portion of the current market, plastic materials are forecast to grow 7% per year through 2008, while a combination of other non-wood products and MDF will increase 6.1% annually. (See graphs on page 33.) With total U.S. moulding and trim demand growing just 3.7% during that period, the upswing in both composite wood and non-wood millwork products will put a dent in solid wood's traditional majority. materials like MDF, plastic and vinyl. market, where non-wood materials predominate. Window and door association heads say the industry's financial health is directly proportional to the bears and bulls of the housing market. Wood Moulding and Millwork Producers Assn. President Mark Young looks forward to a good year. "The demographics are there," he explains. "You look at the demographics of people moving into new homes, moving into larger homes, moving into second homes and retirement homes. I think the housing industry should be pretty healthy for the next five to seven years." Home builders agree. In January, the National Association of Home Builder's Housing Market Index (HMI) was set at 70, showing a large majority of builders have confidence in the new year's market. The HMI surveys builders' sales from the last six months, projected sales for the next six months and prospective buyer traffic; any number above 50 is viewed as favorable. "I think it's obvious, when you look at the houses people are putting up and remodeling, that people are putting in a lot more windows in the homes," Young says. "They are trying to accentuate their homes with more millwork items, be it windows, mouldings or other things." Bryan Wilson, marketing manager for industrial panels at Temple-Inland, agrees. "The bottom line is - let's go back to the demographics of things," he says. "You have all the housing and remodeling that's going on, and the numbers we've run here show we're on a three- or four-year run now. Housing starts are still supposed to be the second or third best year ever in '05. Repair and remodeling numbers are still very, very high. People are building higher quality homes, so you're seeing more and more people putting mouldings in these homes. Not only are there more of them, they're bigger square-footage wise and they're a little higher quality." Chris Leffel, spokesperson for the Composite Panel Assn., says 2005 projections still show mixed information about housing starts. "I don't think it's going to be a barn-burner year, but I don't think it's going to be a lousy year either," he says. "So I say GÃâ¡ÃÂ¿steady as she goes,' with an expectation that we're going to see a similar performance in '05 that we did in '04." While builder confidence is high to start 2005, the housing boom is expected to slacken by about 3% or 4% this year, according to the NAHB. Still, that translates into at least 1.874 million new houses in 2005, based on 2004's 1.953 million housing units. The housing and remodeling boom potential aside, the lower price of MDF has made mouldings more accessible to moderately priced homes, says Young and several MDF manufacturers. "There's obviously more moulding used today than ever before. Part of that is being driven by the availability of MDF," Young says. "If you're a wood producer, you absolutely don't like it because you are losing market share." Dave Ware, sales director for Uniboard Canada, says, "Builders are looking for a cost-effective way to be able to do their door jambs and their trim, their baseboard, the wainscoting ... and they're seeing that the MDF is a cost-effective way to be able to produce a product that not only looks good, but is durable." John Jancar, also a director at Uniboard, says, "I think the health of the industry is good right now." "The moulding industry, on MDF, is probably the most price-conscious market segments that are out there," Ware adds. As MDF continues to provide a less expensive alternative to solid wood, its acceptance continues to grow in new regions at an accelerating pace - and some manufacturers think the end is not yet in sight. Source: Ducker Research Co. / Window and Door Manufacturers Assn. there was virtually none being used. Today, you have some markets that are exclusively MDF," Young says. 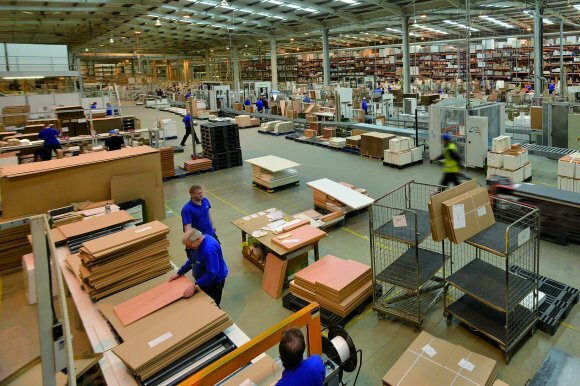 "There's been a substantial increase in MDF in the last five years, and it's still increasing. It will continue to take market share." "Years ago, there was some resistance to it," recalls Weyerhaeuser's Jerry Taylor, Eastern composite sales manager. "But I think the MDF mouldings are being widely accepted now. 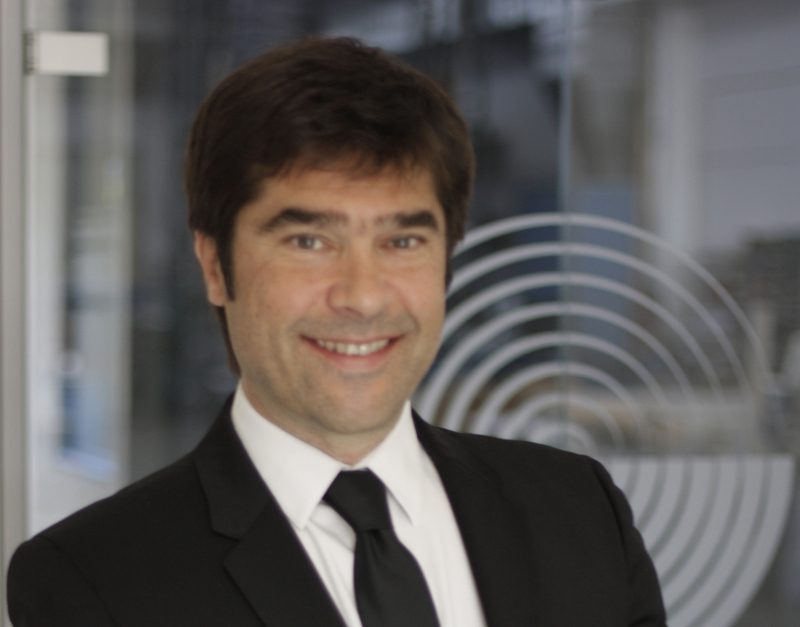 With housing being what it is, there will be additional pressure to control costs, especially in multi-family [homes], so I think MDF mouldings will just continue to grow." Boyko agrees. "I don't believe it will decelerate at all. I see there's going to be a greater need for MDF. And, as the years go by, there will be more acceptance in mouldings." Regionally speaking, MDF fever continues to spread across uncharted territory. "Believe it or not, there's still a lot of people out there who have not experienced MDF moulding yet," Leffel says. "This year, people ... caught the craze just like everybody else has. We saw a lot of [people] going to MDF moulding this year over and above years past." Boyko explains that manufacturers in the South and Midwest have been somewhat reluctant to try composite wood products because they are so used to working with solid wood. "With wood, you're allowed to make mistakes because it's forgiving and you can sand it when you have mitered corners and things like that," he says. "You can't do that (as easily) with MDF core and veneer. You have to have the proper equipment and the proper know-how." interior designs and architectural requirements," he says. Leffel adds that while the Midwest and South are starting to accept MDF products, mostly due to cost reasons, the Northeast is the area into which manufacturers are struggling to gain access. "It's a traditional (solid wood) market that's slow to change," he says. "That's one area where there's a lot of market potential." Young agrees. "I think it's just tradition, and it took a long time for tradition to break in the Northeast," he says. "Then, finally, price was probably the driving issue, as last year you had issues where prices just became out of line on some things, and it drove people to look at more alternatives. "And once you lose some market share because of price, even when prices go back, you can't gain that all back," Young says. While solid wood still rules in the moulding market, it finds itself duking it out with vinyl, fiberglass and other materials seeking to grab market share in windows and doors. Wood is by no means doomed, but the outlook is not as pleasant as some may hope or believe. Vinyl is making even more of a name for itself, at the expense of wood and aluminum, in both the new construction and remodeling markets. Vinyl window shipments have edged out wood windows since 1999, according to statistics from Ducker Research Co. and the Window and Door Manufacturers Assn., which formerly was known as the Wood Window and Door Assn. (See chart to right.) What's more, the wood tallies from the WDMA include vinyl- or metal-clad window units. The WDMA statistics forecast a dip in total wood window shipments until 2007, with the decline having started in 2003. Meanwhile, vinyl windows are projected to remain steady through 2007, with only a slight decline in shipments predicted this year. But there is light at the end of the tunnel for wood window makers. "While alternative materials like vinyl, fiberglass and a multitude of new composites (wood and polymer matrix) continue to gain acceptance, wood's share in the window and door market remains strong and relatively unscathed," says Richard Walker, executive vice president of the American Architectural Manufacturers Assn. In fact, according to a study of U.S window and door demand by Freedonia, because of forecast gains in the total market, the demand for wood windows and doors is projected to increase by about $1.6 billion. Likewise, wood's market share is forecast to remain constant in the new construction market through 2007; however, wood has long since bowed to vinyl in the window remodeling and replacement market. Also, while vinyl windows continue their growth in the new construction market, that market share is not increasing as it once was, WDMA President Alan Campbell says. he easy market penetration point," Campbell adds. "In other words, they have captured the low hanging fruit. There's been some retrenchment on the wood side, where some wood companies have doubled their efforts to try and promote the advantages of using purely wood windows or doors." Though pushing wood's benefits, wood window manufacturing companies have integrated other materials into their product lines. Many companies, Campbell says, report they are using clad wood windows. In fact, he adds, those companies say about 85% to 90% of the residential windows manufactured today are clad on the exterior with vinyl or aluminum. "Either through acquisition or new plant additions, most major wood window manufacturers have diversified into vinyl and/or composites," Walker says. GÃâ¡ÃÂ³ WDMA President Alan Campbell said design trends tend to favor more and more window and door products. "Windows, skylights and doors are more energy efficient than they used to be," he says. "In the past, they might have only punched one hole in the wall. Now, those windows performs better, and they can put in three or four windows or a skylight and not have to worry about it losing energy." GÃâ¡ÃÂ³ Richard Walker, the executive vice president of the AAMA, says other factors affecting the window and door market are energy efficiency, building codes (particularly along the hurricane-prone Southeast coastal regions), age of the housing stock and new product development. GÃâ¡ÃÂ³ In addition to its cost effectiveness, WMMPA President Mark Young says MDF has improved dramatically in substrate and finish over the last five years. He says MDF is not as heavy as it used to be and is now "super easy" to install in that it doesn't require "a number of different call-backs between drying and sanding coats." GÃâ¡ÃÂ³ Weyerhaeuser's Jerry Taylor says offshore moulding shipments pose a greater threat to the solid-wood mouldings market than does plastic moulding. For instance, Pella Corp. has branched out to offer windows and doors in wood, cladding, composites and fiberglass, Pella spokesperson Kathy Harkema says. Andersen Windows and Door also offers vinyl-clad and composite products, but only those materials. As Public Affairs Manager Stacy Einck says, "We use wood. Always have. "To homeowners, they like the look of wood. It's beautiful and it ages well," she adds. Despite the array of materials offered in the market, wood is still most likely to remain the standard when dealing in high-end windows. While Campbell concedes that vinyl is stepping up its status to increase the allure of the product, he still thinks wood is the way to go for high end. "Let's face it, if you are putting up a wall of windows in your front entryway, it's a lot warmer and more inviting if that wall of windows is a wall of wood windows, rather than a wall of PVC windows," he says, adding the amount of design options available for windows and doors will help offset a decrease in the housing market. Harkema also agrees that higher-value homes are more likely to feature wood windows. According to the Freedonia study on window and door demand, by 2007, metal is projected to surpass wood at nearly $13 billion, to wood's $12 billion, of the $31 billion total demand. However, Freedonia says the metal windows and doors will factor mostly into industrial-building construction. In terms of entry doors, wood and fiberglass tied at 14% market share of the 13.8 million units, or nearly 2 million units. But, as Campbell says, fiberglass is the up-and-coming material for door manufacturing. The 2007 forecast for that material is predicted to bypass wood in entry door manufacturing and steal some of steel's business; it is expected to creep into the window market as well. "Fiberglass is now a major material for entry doors, so there's no reason to expect that trend wouldn't continue on the window side," Campbell says. "It's pretty resistant to abuse. Whereas a wood or steel door might dent, fiberglass resists impact a little better," Walker says, adding that it is also lightweight, making it easy to attach hardware. JELD-WEN noticed the trend toward fiberglass, and says it thinks fiberglass' share should be much larger, "but that growth can only come with major product advancements and improvements." Marvin Windows and Doors also manufacturers fiberglass storm windows and doors, the products for which the material is used mostly due to its durability and strength. While wood windows have their bright spot in the high-end market, wood doors have an even larger one in interior doors. Wood demolishes the competition for interior door manufacturing, both residential and nonresidential. "They're a very cost-effective option," Walker says. "Putting fiberglass or steel inside is just overkill, performance-wise. If for some reason you want to get decorative with them, you can. But a lot of people just prefer a standard door." The key there is the options that wood provides. Wood offers more customization and specialization, allowing it to keep a foothold on both the entry and interior door side of the market. Overall, the window/door and moulding/millwork markets are dependent upon the housing and remodeling markets. With housing and remodeling doing well and setting records, there is no reason to believe either market will falter. Campbell says the slight housing decline predicted by NAHB is nothing to panic over; it is a chance for builders, contractors, consumers, etc., to catch their breath and let the supply lines catch up to the demand. It is not just wood coming down the pipeline. Though not the market leader it once was, wood should show no significant declines in demand or shipments, and in most cases it will plateau rather than dip, at least in the window/door market. Meanwhile in the moulding/millwork market, MDF and plastics are becoming more popular. But solid wood manufacturers should not fear because, as The Freedonia Group says, it is still the predominate material.